The law professor Noah Feldman writes in Bloomberg about the problem of marginally qualified law school graduates who fail to pass the bar exam and find themselves saddled with a huge amount of student loan debt. Since the financial crisis, there has been a cottage industry of articles and blog posts (and even more online comments to those pieces) arguing that if you can’t get into a top law school, you’re essentially throwing away your money by going to a less competitive one. Feldman rightly notes that it’s paternalistic to urge less competitive law schools not to admit people who, statistically, are less likely to succeed based on LSAT scores. As long as students have a clear-eyed sense of the risks involved, then a law school shouldn’t be telling an ambitious kid with a 148 LSAT score to try another career. The problem, however, which I don’t think Feldman sufficiently addresses, is that many prospective law students in fact don’t have an accurate sense of the risks involved. You don’t have to be overly cynical to acknowledge that law schools have an incentive to make it seem as if their graduates have a bright future and will downplay these risks, so as to collect three years of tuition. One example is the statistic about percentage of graduates employed after graduation, which affects the law school’s rankings. Following the financial crisis and decline in available entry-level legal jobs, many schools took steps to place their not-yet-employed graduates in non-profit and government positions as a bridge to eventual private sector employment. 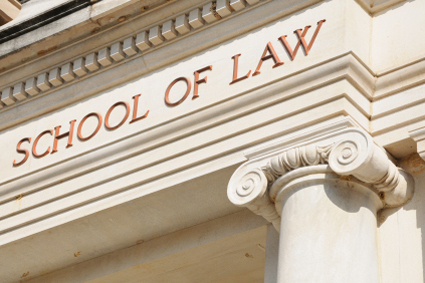 While these temporary positions may end up being valuable experiences for the graduates, it isn’t the outcome they necessarily expected entering law school. Put another way, when a prospective student sees that a law school has a post-graduation employment rate of, say, 90%, which sounds good, they are not necessarily aware that some significant portion of those employed are not employed in the career path the student is hoping to take. So, while I don’t think it’s reasonable to tell a less-competitive law school that they should refuse to admit students below a certain LSAT cut-off, or who are otherwise statistically likely to find it difficult to make it in a competitive law marketplace, I do think they have an obligation to ensure that their students have a clear sense of what they’re getting into before they write their first tuition check or sign onto a student loan arrangement. If the schools are not able to meet this obligation, it should be imposed on them, either via regulation or the widespread adoption of a third party assessment of the post-graduate performance of each school that tells the true story of what a student could expect and isn’t as subject to gaming as the current rankings. What Do Law Students Need to Learn about Transactional Law?